Heather has been working as a recruiter for over 20 years. Heather is known for treating all clients with white glove service. Her motto truly is “bringing talented people together”. Heather leads a team of recruiters who are committed to finding the right people for positions. Additionally, Heather serves as key partner for several not-for-profit health systems to grow their internal staff and identify new talent. 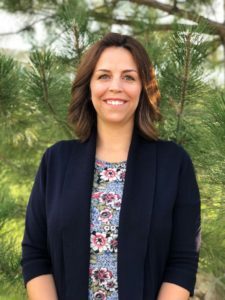 Specialties within Heather’s expertise; Acute Care Hospital and Medical Practice Leadership including CFO, Controller, COO, Pharmacy Director, Radiology Director, CNO, Nursing Director. Case Management Director, Quality Director, Practice Administrator, Practice Manager, Nurse Practitioner and Physician Assistant. Justin’s philosophy is to help you find the types of people that will make the biggest impact on your business by taking the time up front to truly understand your business. We understand that the most talented people in any industry are contacted weekly, if not daily, by search firms. We take the time to get to know these individuals in order to understand what is best for their careers, then match their talents with companies that need them. Specialties: Health Economics, Market Access, Reimbursement, Payer Relations, Strategic Marketing, Business Development. Doug’s expertise is in researching and identifying the top talent for our clients. Finding the needle in the haystack or the diamond in the rough are the challenges that make and keep this an exciting career for Doug. Specialties within Doug’s expertise; Acute Care Hospital and Medical Practice Leadership including CFO, Controller, COO, Pharmacy Director, Radiology Director, CNO, Nursing Director. Case Management Director, Quality Director, Practice Administrator, Practice Manager, Nurse Practitioner and Physician Assistant. Research and Data Support Specialist is a job title that only scratches the surface of the time and detail that Coreena puts into every project on which she works. She can collect, sort, and organize information into a usable resource to fulfill our client’s needs. 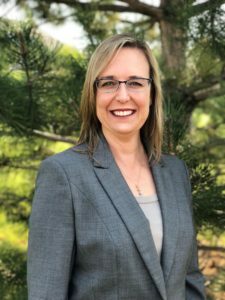 Coreena’s expertise: Acute Care Hospital and Medical Practice Leadership including CFO, Controller, COO, Pharmacy Director, Radiology Director, CNO, Nursing Director. Case Management Director, Quality Director, Practice Administrator, Practice Manager, Nurse Practitioner and Physician Assistant.